President Juncker´s proactive transparency policy continues to fail to address loopholes in lobbying transparency rules and does not ensure balanced stakeholder consultation, according to a new analysis by the Alliance for Transparency and Ethics Regulation (ALTER-EU). 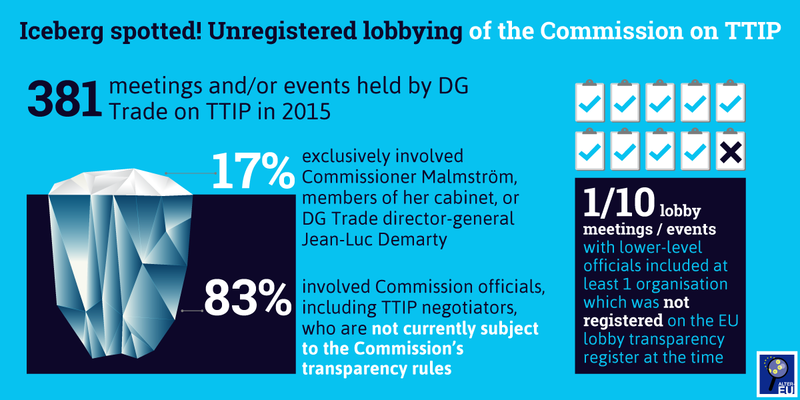 Brussels/Madrid, 20 February 2017 – ALTER-EU criticised the loopholes in the Commission’s policy on lobby transparency after its latest research exposes that 81 per cent of lobby meetings with DG FISMA between January and July 2016 fell outside the current proactive transparency obligations. 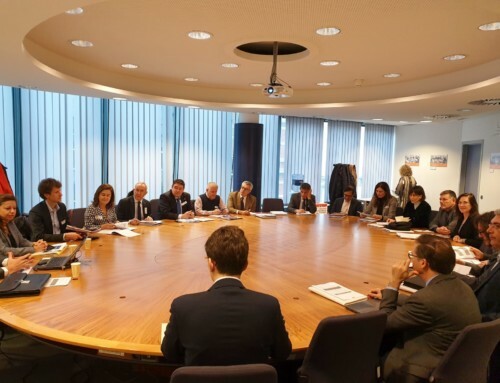 These meetings (held only with lower-level officials) are not subject to the Commission’s disclosure regime and undermine the objectives of the rules to increase lobbying transparency. 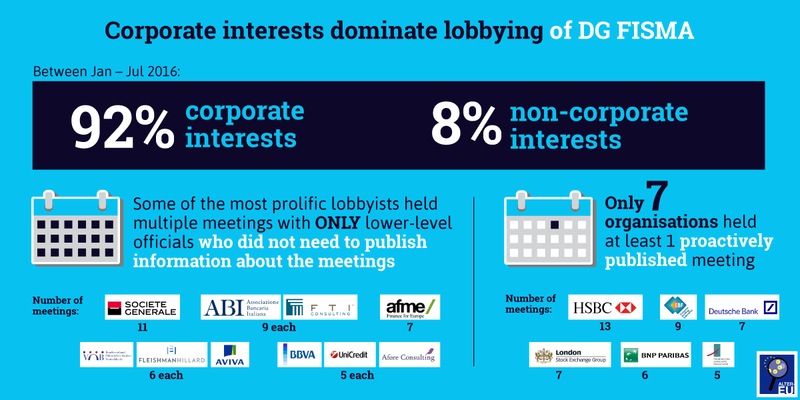 The data also reveals persistent corporate dominance in lobby meetings. 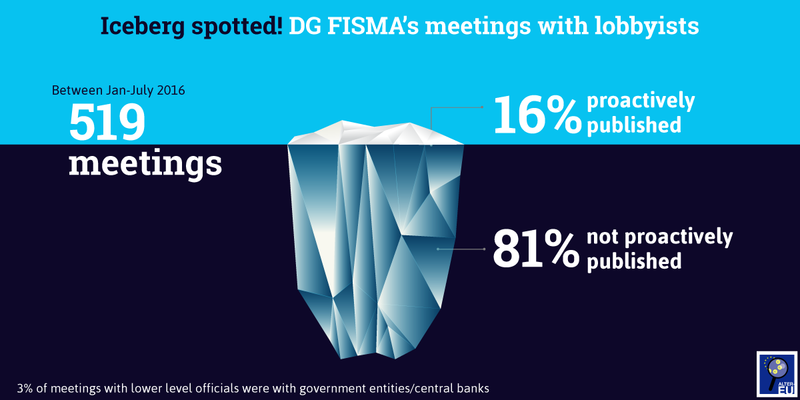 Of the meetings held between January and July 2016 with lower level DG FISMA officials (who not required to proactively publish their meetings), 92 per cent were held with corporate interest representatives. 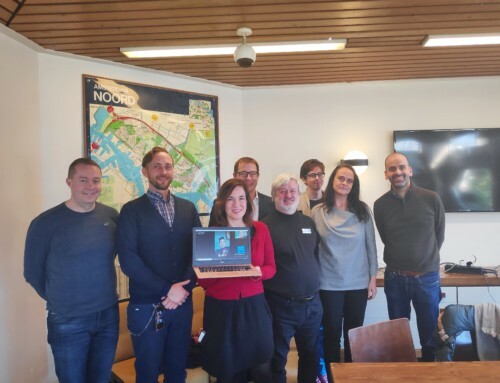 The data disclosed by the Commission also reveals that unregistered lobbyists have been able to meet high level officials covered by the proactive transparency rules. 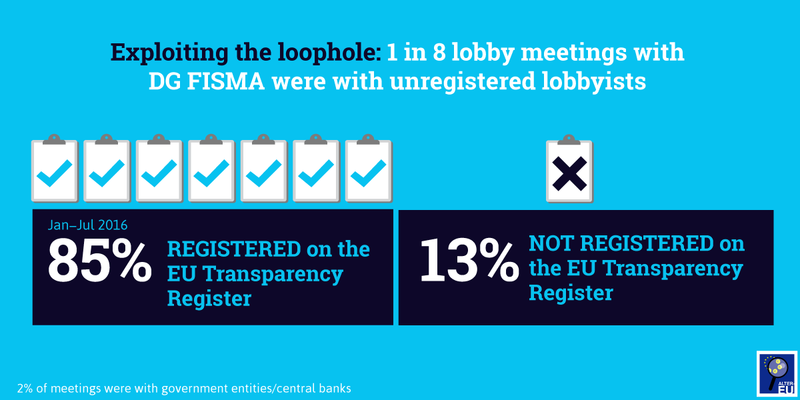 On top of also breaking the rules, 13 per cent of all lobby meetings with DG FISMA officials were with unregistered lobbyists. ALTER-EU’s findings reflect the disregard with which Commission bodies are treating the Working Methods President Juncker introduced in 2014 to improve the oversight and accountability of EU officials meeting with lobbyists, and to increase stakeholder balance. Unfortunately, this pattern of opacity is not unique to DG FISMA. 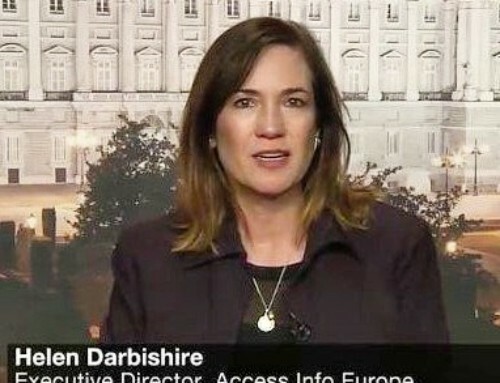 Further data obtained by ALTER-EU through the same series of access to documents requests highlights very similar issues at the European Commission’s trade policy department (DG TRADE) around TTIP lobbying in 2015, where 83% of meetings were held with officials not covered by the EU proactive transparency rules. » A series of infographics detailing these findings are available here. 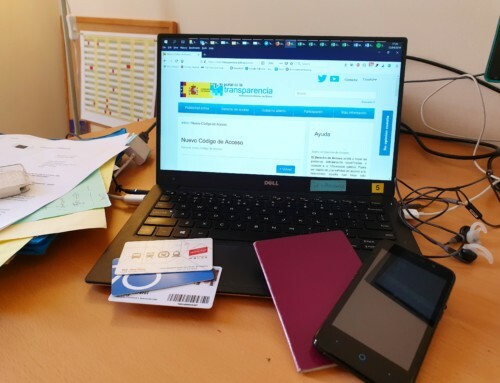 » President Juncker’s transparency rules are available here (not meeting unregistered lobbyists), here (proactive transparency), and here (balanced representation). 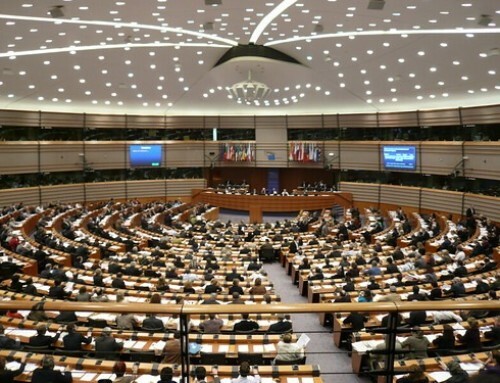 » The Alliance for Lobbying Transparency and Ethics Regulation (ALTER-EU) is a coalition of over 200 public interest groups and trade unions concerned with the increasing influence of corporate lobbyists on the political agenda in Europe.